This photograph was taken of Billie Smith-Burn in Columbus, Georgia in February of 1934. My parents’ names were James (Jimmy) Blain Smith and Vertie Gratus Ramsey. Mama’s parents’ names were Benjamin Campbell Ramsey and Sara Jane Ledbetter Ramsey. Daddy’s parents were John Calvin Smith and Eliza Jackson Smith. Grandmother Ramsey was born January 28,1860 above Monroe, Tennessee. She said that her mother used to wear hoop skirts to church. If it happened to be a stormy day, the ladies would take off the hoops and shove them up the chimney so the lightening wouldn’t strike them. The hoops were little metal frames, and the skirt just slipped over the frames. The women believed that lightening would be drawn to the metal, so they did what they thought would prevent lightening from striking them by taking the hoops off and putting them in a place that wouldn’t be dangerous. Granddaddy and Grandmother Ramsey lived in a log cabin above Monroe. Grandmother once told me that in 1865, Yankee soldiers came through their yard and would build fires to stand by and get warm. Grandmother, who was around 5 years old at the time, would walk among the soldiers and some of them would pick her up, for most men had left their little girls at home and they missed them very badly. But what they did not know was that she had measles and gave them to all the soldiers. She did her part to win the Civil War. My parents first met when Dad was riding his horse in front of Granddaddy’s house at Monroe, Tennessee. The mud was about up to the horses’ knees and Dad was whipping the animal to move faster than the poor thing would run in that kind of mud. My Granddaddy was the postmaster and the Magistrate and when he saw this animal being mistreated, he hauled Dad into the house and made him pay $15 fine. Mama was helping with the mail as the Post Office was also in a room in the house. (Who knows, perhaps she took the money and gave Dad a receipt). Apparently they liked each other and began dating. On Christmas Day, 1906, they were married at Granddaddy’s house at Monroe. My father lived in Fentress County on Indian Creek. My mother lived at Monroe in Overton County. So, Dad had brought two horses for both of them to ride back to his parent’s home. They both rode on one horse and tied the feather bed and two feather pillows, (gifts from her mother) and her clothes on the other horse. All of Dad’s brothers had to sleep in one room and the couple had to share the room with them on their wedding night! My mother was 17 years old and my father was 22. They stayed with his parents for a while. Mama was the third daughter but was the first to be married. Dad was a master mechanic and made his own tools. Dad worked for a lumber company cutting down trees, loading the logs on a train flatbed taking them to the river and floating them to cities nearby. The lumber company furnished little houses for employees to live in. These little houses could be lifted up on a train flatbed and moved to different locations as the timber was cut. My parents’ first child was a girl, my sister, Altha. The second was my brother, Haskell followed by James Blain, Jr. who died at 9 months old from "brain fever." Fourth was Hooper and fifth, me. My younger brother, Hooper was born in 1913 – then I was born January 27, 1916. I weighed only 3 ½ pounds and had whooping cough when I was 9 days old. At night my daddy would hold me in his arms to keep me from losing my breath and he did this until I got over it. Dad and Mama then moved into a small, wood house – up the road from Granddaddy Smith’s big brick house. This was at Joppa near Alpine, Tennessee. The thing that got my attention (later in life) was the way water was brought to the house: By the side of the house was an old-timey well with a bucket. The cold-water spring just down the hill from the house was where the water came from. The bucket would be freed at the well by the house; the bucket would travel by wires that were strung on the trees down to the spring where the bucket filled with water. Then the person at the well (by the house) would start winding the bucket (full of water) to the house. Mama would keep her milk and butter in a real small wooden box, that daddy built, at the creek so they wouldn’t float down the stream and the milk wouldn’t turn over. The water was so cold that the milk and butter would stay fresh for days. Mama said that during bad, rainy weather daddy would have to go sometimes in the night and get the milk and butter and bring them to the house so they would not be washed away when the rain made the creek rise. When WW1 started, my daddy tried to enlist but they would not take him with four children. So, he contacted Old Hickory Ammunition Depot near Nashville, Tennessee where they made ammo for all types of guns. He worked for them thus doing something for his country. Daddy boarded for a while and then found a house so all of us could be together. Granddaddy also ran a store that was across the road from where they lived. People would bring their eggs to give to granddaddy to pay for things they wanted to buy. Granddaddy Ramsey was a real smart man. He was also the Magistrate, a hick-lawyer and he invented some sort of lock. Mama did not know just what kind of lock it was. He also played the violin – which was given to me in later years and I have. I can still hear him playing "Turkey in the Straw" on his 1700 violin. He raised lots of corn for the animals and chickens and had plenty of good vegetables for the table. My mama played the guitar for barn dances. Granddaddy thought the North would win the war and would probably give pensions to those who served. So, that’s what he did – joined with the Yankees. Another building on the farm was a gristmill where Granddaddy Ramsey ground corn into meal and wheat into flour. He did not charge for this service but received meal and flour for the grinding. There were two other interesting buildings – the smoke house and the outhouse. Hams and shoulders of the pig were covered with salt and lots of black pepper to keep the flies, etc. away from the meat. A low fire was kept burning in order to cure the meat. The fat white meat was cut in smaller pieces – covered with salt – and let season for weeks and months. When grandmother needed a piece of ham for breakfast, all she had to do was cut off a hunk of meat as was needed. Pork lard was used for cooking and baking. We all ate enough of it to kill us. My grandparents raised chickens and geese. Goose feathers filled their feather beds and pillows. They also raised pigs. When a pig was killed, grandmother took the lungs, liver (she called the liver "lights") cooked them together with onions, which made a good stew – but I would not eat it. I never saw so many apple trees on the farm. There were June apples, Rusty applies, Horse apples and apples I don’t even remember their name. Grandmother would peel, cut up, and dry in the sun gobs of apples. She made the most wonderful "dried apple" pies. There was a nice garden of corn, beans, peas, cabbage, beets, onion, rhubarb (for pies). What wasn’t eaten was put in glass jars for the winter. Cabbage was used mostly for sour kraut made in wooden barrels. Some of the cabbage was left in the garden – then covered with dirt to keep them from freezing. In that way fresh cabbage could be cooked in the winter. Chestnuts, hickory nuts, and chinquapins grew wild. Some were gathered then put in the attic to dry. To keep my brother and me from stealing them, a scarecrow with a hat on was placed in a chair near the nuts. The scarecrow was called "Old Spence." Hooper and I would climb the ladder and when we got to the top and saw "Old Spence" we would be so scared and quickly climbed back down hoping there would come a day "Old Spence" would be gone, but that day never came. Winters were spent by the wood stove talking, eating nuts, apples and popcorn balls. These balls were held together with syrup or honey. The women would knit or quilt or perhaps they would get an extra treat when grandmother would let them have a swig of her newest homemade liquor. The kitchen was always filled with beautiful cooking odors – especially at breakfast. Waifs of fresh coffee, hot biscuits and ham floated from the kitchen. Granddaddy would pour some of his too hot coffee in a saucer and blow on it until it was cold enough to drink. We called that "saucer & blowing" our coffee. Altha, Hooper, and I went to school there at Monroe which was about a mile from the house. We wore long dresses and button shoes. I remember walking in snow to school. We played ball with a stick and the ball was made from strings that came off the flour, meal and sugar cloth sacks. We had benches instead of desks. We had slates and slate pencils to write with. Mr. Robbins was the teacher and had a long pointed, hickory stick. I remember the song we used to sing: "School days, school days, dear old golden rule days. Reading and writing and ‘rithmatic, taught to the tune of a hickory stick. You were my queen in calico, I was your bashful, barefoot beau, and you wrote on my slate, I love you so, when we were a couple of kids". The teacher called kids to the front bench and taught us - then you would go back to your seat. Then another class would sit on the front seat. Altha always carried our lunch bucket with a jar of milk, biscuits filled with ham & eggs or jelly and butter and perhaps a baked sweet potato. We would take the jar of milk down to the creek (that was down from the school house) pile up rocks around the jar so that it could not turn over. It would stay fresh, as the water was so cold. We had no outside toilets at school. There was a ravine nearby that was used as a bathroom, using leaves, as there was no toilet paper. The boys would grab grape vines and swing back and forth across the ravine at lunchtime. To heat the school, there was a wood heater. Hanging kerosene lamps were available if needed. Our business grew from 1959 to 1965 when we closed down. In 1963 I became Post Master (retired in 1984). About the same time, I started driving the school bus which I had bought, and took about 23 black kids to Mary Fields School. I was also Registrar for births and deaths. Lance was magistrate for 11 years. He also was the mail carrier –he brought mail from Bluffton and later from Savannah. We both retired from the Post Office in 1984 because of Lance’s health. He died April 6, 1989 and is buried in Mary Dunn Cemetery on Daufuskie Island. I have written two books; the first one was "Stirrin’ the Pots on Daufuskie" which is a history – cooking book and the second one "An Island Named Daufuskie". 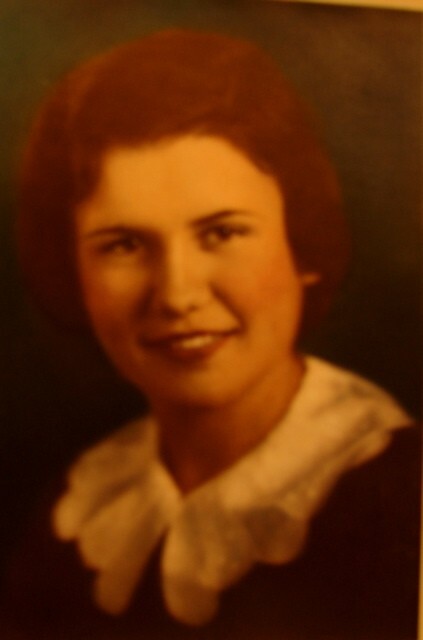 Billie Kay Smith-Burn passed away January 6, 2008, only three weeks before her 91st birthday. I have the complete 22 page story written by Billie Kay Smith-Burn and will be happy to share it anyone who would like a copy.